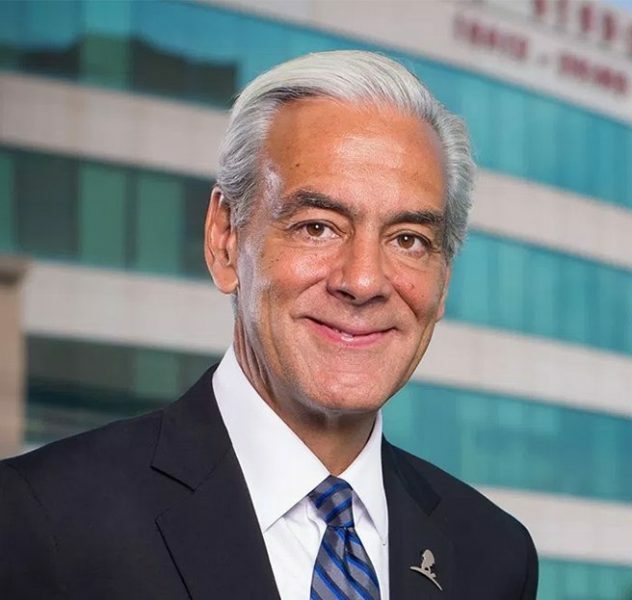 The following is a conversation between Rick Shadyac, President and CEO of ALSAC the fundraising and awareness organization of St. Jude Children’s Research Hospital, and Denver Frederick, Host of The Business of Giving on AM 970 The Answer WNYM in New York City. Denver: According to a recent survey, the nonprofit that had the greatest brand awareness among households earning more than $100,000 was St. Jude Children’s Research Hospital. 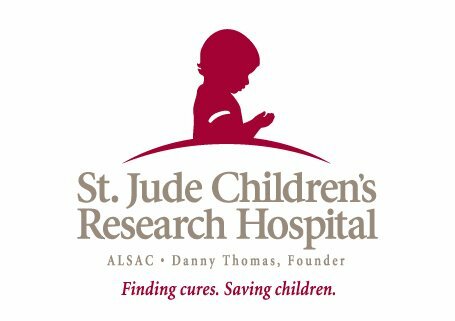 And the charity that had the greatest awareness with households making less than $100,000 was St. Jude Children’s Research Hospital. So, I guess I could say that my next guest needs little introduction. He is Rick Shadyac, the president of St. Jude’s fundraising and awareness organization, ALSAC. Good evening, Rick, and welcome to The Business of Giving. Rick: Thank you, Denver. It’s a privilege to be here with you. Denver: St. Jude Children’s Research Hospital was founded by comedian, entertainer, and TV star, Danny Thomas. Tell our listeners about him and what inspired him to start this organization. Rick: Danny Thomas, I think, was one of the most visionary leaders of my lifetime. That’s for sure. The story is beautiful and compelling. Danny was a struggling actor back in the 1930s, and he was down on his luck. He went into a church and prayed to St. Jude Thaddeus, who is the patron saint of hopeless cases in the Catholic religion, and he was Catholic. His wife was pregnant with what would turn out to be Marlo Thomas. He walked into that church and said, “St. Jude, help me find my way in life, and I’ll go to a shrine.” Really, what he was saying, Denver, is, “Help me figure out whether or not I should get a real job or pursue my passion as an entertainer.” He didn’t have enough money, no health insurance, and he didn’t have enough money to pay the bills for his wife to get out of the hospital and to deliver the baby. St. Jude answered his prayer. He got a job the next day as a singing toothbrush on the radio, and he got money to pay the bill for the hospital. And the rest is history, except that unlike a lot of folks that make those kinds of prayers, he remembered the promise and the prayer that he made to St. Jude, and ultimately that promise evolved to the point where he wanted to build a hospital that would treat catastrophically ill kids. He would treat them without regard to race, creed, religion, or ability to pay. The first disease he was counseled to tackle was leukemia, which was deemed incurable in the early ‘50s and ‘60s as this was being formulated– a 4% survival rate– then ultimately he was counseled to put it in a city where kids didn’t necessarily have access to quality specialty healthcare. He ultimately decided to do this to say thank you to God and the United States of America for giving his parents…my grandparents, the opportunity to come to this country and to make a life. He was honoring his heritage and paying tribute to our great country. Denver: That really is a lovely founding story. And you talk about St. Jude… leukemia back in those days was almost a hopeless case with a 4% survival rate, as you say. In fact, I think kids were celebrating half birthdays. It was that severe because they were afraid they weren’t going to make it to the next birthday. What’s the survival rate of leukemia today among children? And also, how has the cure rate for childhood cancer changed over that period of time? Rick: In 1962, when we opened our doors, the survival rate for the most common form of childhood cancer, acute dysplastic leukemia, was 4%. Today, due in large part to the work done here at St. Jude Children’s Research Hospital, that survival rate is now 94%. Great progress. We’ve been instrumental in taking the overall childhood cancer survival rate from 20% when we opened our doors in 1962 to 80% today. And we’re not going to stop until no child dies from cancer because still in the United States, one in five children will pass away from childhood cancer, and that remains the leading cause of death by disease in US kids today. St. Jude still has its work to do, and I hope at some point in our interview today that we can talk about global statistics because they are incredibly dire. Denver: How do patients find you, Rick? Who is eligible? And what is the nature of the relationship between the hospital and the family? Rick: Ideally, patients are referred here by their pediatrician or a local pediatric oncologist. Since we’re a specialty hospital, you have to have a disease that we treat. That means, it’s cancer or a disease of the blood, things like that. Ideally, you’re eligible for one of our research protocols. We are a research hospital. Our name is intentional. We’re not St. Jude Children’s Hospital. We’re St. Jude Children’s Research Hospital, so we are not only treating kids with the highest caliber medical care, but also, we’re desperately searching for cures and improved therapies for these kids. Those are the major criteria. Then you have to think about some of the…it’s a self-selection process. Our protocols can last two and three years. Let’s say a substantial time commitment, especially if you’re coming from one of the coasts and things like that. The kids that end up coming here are some of the sickest kids in the United States and in the world because we have the highest survival rates for some of the most challenging cancers. No family will ever receive a bill from St. Jude Children’s Research Hospital – not for the cost of treatment, travel, housing, or food, because all we want Mom and Dad to worry about is helping their child survive cancer. Denver: You don’t turn away anybody who doesn’t have the ability to pay. Rick: That is correct. No family will ever receive a bill from St. Jude Children’s Research Hospital – not for the cost of treatment, travel, housing, or food, because all we want Mom and Dad to worry about is helping their child survive cancer. We believe here that when a child has cancer, the entire family has cancer. We are all about family-centered care, and we want to give these kids and the moms and dads and their siblings the best environment that we can in order to help them battle childhood cancer. And attitude is so important. Denver: You have a very well-earned reputation for compassion because I can imagine what a very frightening time this must be for the entire family and for these children, who areseeing doctors and needles and this equipment and medicine for the very first time. How does the hospital help allay those fears among those young people? Rick: I think that we see families when they’re at some of their lowest points. I’ve heard many of these moms talk to me, and I heard one last week. They just told us that she had just gotten the word that her child had cancer, and it broke her heart. Then all of the hopes and dreams that she had for her child, she had to put on hold. But then you come to St. Jude, and people will always describe to me, it feels like they’ve been given a big hug. And it feels like they automatically, they instantly have hope. It’s a spirit that’s here. Even though we’re dealing with catastrophic illness, this is a place of hope. This is a place where kids can still be kids, even though they’re going through some of the most difficult trials. We believe here that when a child has cancer, the entire family has cancer. We are all about family-centered care, and we want to give these kids and the moms and dads and their siblings the best environment that we can in order to help them battle childhood cancer. And attitude is so important. That’s where the public comes in because the public support is what allows us to create this very, very unique environment and do exactly what we need to do, take the necessary steps, regardless of financial circumstances or how good a person’s health insurance is, to make sure that child, every child, has the same opportunity to survive that catastrophic disease. Denver: I was looking at your most recent strategic plan, and I noted that one of your objectives is to recruit more patients. What’s the thinking behind that? And how are you going to go about trying to achieve that objective? Rick: We want to impact as many patients as we possibly can because we believe that we give the highest quality of care here, but also fundamentally, we are, as I said, a research hospital. So, we’re creating these critical protocols, and we need to enroll a certain number of kids on all these protocols to test the efficacy of these protocols. So the more kids that we can get here, the faster we can test those clinical trials to see whether or not they’re actually going to advance cures, have less toxicity, reduce side-effects, have better long-term prognosis for these kids. That’s the rationale behind this. Again, because of the support of the public, we’ve been able to materially expand our mission as we’re on a multibillion-dollar expansion of our mission, as you and I have this conversation. Denver: You’re absolutely right also about how research sometimes gets overlooked. I think we get all so consumed by the child and the cancer. I don’t think many people appreciate that you’re actually a granting institution where people are receiving PhDs in biomedical sciences and things of that sort. And along those lines, you have plans for a big new building, which is going to be going up in 2021 around research. Tell us about that. Rick: We have a PhD program. Now, we’ve just started our master’s program in global health as well. We’re excited about that. We do believe that it’s our obligation to train the next generation of doctors and scientists here in an effort to try to improve global health outcomes, and also again because about 50% of our resources which come from the public actually are dedicated to research in finding cures. We are building a brand new, state-of-the-art, $412 million research tower that is springing out of the ground. As I look out my window here, the two stories are already built. It’s very exciting for us because we hope and pray that that building will house the labs that will lead to discoveries for more and more kids surviving, and less and less kids having these really still tough side effects from the current therapies that are on the market. …we believe it’s our moral obligation to take what we’ve learned here and transport that around the globe. What we know, Denver, is that right now, where a child lives is the single biggest determinant of their healthcare outcome. We think that’s completely unjust. We think this is completely consistent with our mission that we try to take care of those kids as well since we’ve done such a great job of taking care of the kids here in the United States. Denver: As you said before, when Danny Thomas founded St. Jude, he said: no child should die in the dawn of life. He didn’t say: no child in the United States. It was more of a universal expression. To that end, you have partnered with the World Health Organization and have done a whole bunch of other things around St. Jude Global. Tell us about that, and give us some of those statistics, if you would. Rick: Sure, I’d be happy to, Denver. To me, this is the next frontier. I know Dr. Downing, the CEO of St. Jude’s feels the exact same way. We’ve made remarkable progress in the United States, and we have an 80% survival rate. Still not good enough, as you and I discussed before, and it remains the leading cause of death by disease in US kids today. But around the globe, over 400,000 new cases of cancer are going to be diagnosed, 400,000 kids, of ages – from a baby to 14 years old – 43% of the children who develop cancer around the world are never even diagnosed. It’s 1962 all over again, Denver. That’s the message: Four in five kids in low and middle income countries around the world are going to pass away, and pass away relatively quickly. So 80% survive in the United States; 80% pass away around the globe. We seek to change that. We partnered with the WHO. We made an initial $15 million commitment to them as part of our well over $100 million commitment to advance the survival rates around the world. And the St. Jude CEO went to the United Nations and proudly proclaimed that we seek to raise the overall childhood cancer survival rate for the six most common forms of childhood cancer to 60%, not 50 years from now, but by 2030 – 11 years from now. And we think we can do this because we know that we have a problem that we have partially solved here in the United States, and we believe it’s our moral obligation to take what we’ve learned here and transport that around the globe. What we know, Denver, is that right now, where a child lives is the single biggest determinant of their healthcare outcome. We think that’s completely unjust. We think this is completely consistent with our mission that we try to take care of those kids as well since we’ve done such a great job of taking care of the kids here in the United States. Denver: That’s so wonderful to hear. I don’t think there are enough nonprofit organizations that really grab on to those bold and audacious visions the way that you just described, which can really galvanize and inspire an entire community. Rick: I just go right back to our founder. I think our founder had one of the most bold and ambitious and audacious missions on the planet. Now it’s our turn. It’s our generation, and it’s our turn to have those kinds of same bold, visionary, audacious plans because if you don’t dream it, it’s not going to happen. … if we’re blessed to have healthy kids, we should be giving thanks for those healthy kids and then giving to those who may not be as fortunate as those of us who have been blessed to have kids with great health. The general public has absolutely embraced it. Denver: So much of the work you do is supported by this fundraising enterprise that you oversee. It’s a billion-dollar-plus operation, and the lion’s share is coming from philanthropic support. The lion’s share of that is really coming from relatively modest gifts from the people across the country. You have a million volunteers, 11 million plus donors, an average gift of $43 bucks. Tell us a little bit about that and how you’ve seen direct response evolve, maybe in the last five or 10 years, and what seems to be working exceptionally well for St. Jude. Rick: I think the fundamental way that we’re successful is the beauty and purity of our mission. There’s nobody that can say what we say. I think everybody can relate to helping a child, especially a child that’s dealt with a catastrophic disease. I think that people find some beauty and comfort in the idea that we’re taking the economics completely out of the equation when a family comes here, and that we’re going to do whatever it takes to get their child better. I think we can all be able to put ourselves in that position, and if we’re blessed to have healthy kids, we should be giving thanks for those healthy kids and then giving to those who may not be as fortunate as those of us who have been blessed to have kids with great health. The general public has absolutely embraced it. Denver: One of your corporate partners that has recently embraced you that I saw in the news was Best Buy, correct? Rick: Best Buy is a fabulous corporate partner; it’s our single biggest corporate partner. I’m proud to tell you that they raised almost $20.8 million during their most recent Thanksgiving campaign for us, which is our holiday campaign. That was an absolute record for them. Denver: You said before, most organizations I’ve talked to have about 31,000 donors. As you said, you have 31,000 events. That’s like a hundred events a day. Tell us about those volunteers, and give us an example of a couple of those events, like the Math-A-Thon. I love your Math-A-Thon. Rick: We try to devise programs that appeal to audiences, through your entire life spectrum. We have a Trike-A-Thon program, that’s a pre-school program that’s centered around bike safety. We have Math-A-Thon programs that are centered around elementary school kids solving Math problems. We go all the way through the life cycle. We’ve done very, very well with college kids. College kids love our mission. The single biggest commitment that’s ever been made with this institution was made by Tri Delta, which is a sorority, and these women are amazing. They made a $60 million commitment to name one of our housing facilities here. I could go on and on. But then you get into as people get older, we have all sorts of fitness events; we’re prolific in endurance kinds of races, walks. We have our St. Jude Memphis Marathon, which is our single biggest fundraiser, where we’ll raise north of $11 million on a single day. But these are 25,000 people that work together to support our marathon and half-marathon, and they raise money as heroes. We’re blessed to have the support of the country music industry that’s raised almost a billion dollars to support our lifesaving mission, to radiothons and things like that. We have your classic kind of golf tournaments and galas. I just came back from the Patrick Warburton Celebrity Golf Tournament where we raised $2.2 million to see the Hollywood community coming together, especially since our founder reached out to the Hollywood community initially, along with members of the Lebanese and Syrian community. Our multicultural efforts are absolutely critical to our success as well. We like to think of ourselves as being the charity of choice among Hispanics and African-Americans. Those communities are so generous in their support of St. Jude, and we’re blessed to have them as part of our very, very diverse family. Denver: No matter what your age or your community, everybody loves “This T-shirt Saves Lives” T-shirt, don’t they? Rick: I challenged the team. We have these pretty traditional shirts here, and I said, “Let’s come up with something cool!” And they came up with something incredibly cool. Again, the public loves it. All you need to do is become a partner in hope, $19 a month, and you can get this T-shirt. I’ll tell you what… you wear it; people will stop you on the street because it says “This Shirt Saves Lives,” and they want to know the story, and you tell the story to them. All of a sudden, they want to get one of those shirts and become part of the St. Jude family. It’s raised a lot of money for us. It’s created tremendous awareness for us, and it’s very, very cool. Denver: It really is cool. It’s great to have a T-shirt that can become a conversation piece like that. You have a workplace culture quite unlike any other. It’s really exceptional, and I spend a lot of time with nonprofits talking about their workplace culture, and so many people will tell me that it is baked in at its founding. The first thing an organization does can really tell you a lot about its culture, and that would certainly be the case with Danny Thomas and the way you interact down there. Tell us a little bit about Danny Thomas and the influence that he has today on the workplace culture many decades later. Rick: I think it started when he formed ALSAC, the organization that gave birth to St. Jude, American Lebanese Syrian Associated Charity – the organization that I have the privilege of leading. He was intentional in saying, “We’re going to model ALSAC, and ultimately St. Jude, on the parable of the ‘Good Samaritan’ – to love and care for our neighbors regardless of what they look like.” I just remember the story of the “Good Samaritan”. I’m not trying to get religious here, but bottom line was that people walked by this person because he happened to be… he’d been robbed. Ultimately, people of great stature walked by him. But then a Samaritan actually stopped and helped that person. He cared for a complete and total stranger. That’s what we wanted to model our mission on. We’re all about caring for others; we’re all about caring for our neighbors, everyone now. That’s what we believe here. We start with that fundamental belief that we are very, very mission-driven; we’re a purpose-driven organization. It takes a special person to work here. You have to have that kind of sense of purpose and mission, literally a wanting to give back every single day. And we’ve been blessed that people from all walks of life, whether they work at St. Jude or they work at ALSAC, want to become part of this very, very unique culture, that’s here to serve others and in our particular case, some of the sickest kids in the world. Denver: Danny had a wonderful way too of making everybody in the organization feel that their job was just as important, just as vital as anyone else’s job, and that really is a key to a great culture. Rick: He was absolutely correct. He spent time with every one of our employees, no matter what your position was. He loved going on into the cafeteria and spending time with the cafeteria workers and the people that make our campus so beautiful, just like he did with the doctors. It was everyone–the fundraisers. He knew that it took everyone. You know if the people in the cafeteria don’t provide these water refills for the scientists, they can’t do their best work. That’s what this place is all about. Danny always spent time with everybody. He would eat with the patients and the families. He would eat with the employees. He would go in and ask them to make a special bologna sandwich. He loved fried bologna, believe it or not. That’s just the kind of person he was. He believed every person, and I believe this too, every person that works here is equally as important as the next person. And when one person doesn’t do their job, it affects all of us. But it takes this entire family coming together to create this very, very unique and special place. Denver: St. Jude is always pushing to innovate, too, and if I recall correctly, you started the Pediatric Cancer Genome Project in 2009, which was right at the height of the recession. Innovation never takes a holiday at St. Jude. What do you do to have a corporate culture that is so innovative? Rick: You’re right about the Pediatric Cancer Genome Project, and I’m very, very proud that our board had enough confidence at ALSAC to raise the money to conduct the largest study of the pediatric cancer genome, literally in the history of genomics. And that’s actually morphed into a larger study now. We were trying desperately to find the causes of the childhood cancer because we know that the way kids get cancer is completely different than the way adults get cancer because they haven’t made unhealthy lifestyle decisions and been affected by environmental factors and things like that. I’m proud that our board made an additional $65 million investment in the pediatric genome project during the Great Recession, and I’m proud that our organization was able to ultimately fund that initiative. And it’s gone on to cost lots more money than that. But it’s in our DNA. We seek to find cures here, so we’re going to do things that no one else can do. Dr. Downing has a saying, “If not St. Jude, then who?” So I think that’s in our DNA. Even over here on the fundraising side, what we’re keenly interested in is innovation. We’ve been on a digital transformation of our organization as a fundraising organization now for several years, and we’ve made substantial– conservative, but substantial– investments in technology to advance our digital transformation, trying to meet people where they are. And this is exactly why we’ve been able to grow and grow at a greater pace from a revenue perspective than a lot of our sister charities because we have chosen to make these investments. And we’re very, very thoughtful about the things that we choose to invest in, but we know that we need to meet our supporters where they are. And some of the traditional methods of fundraising… while we’ll continue to do them, they become less and less important as we march forward with technology in the age that we’re in. Denver: One of the things that you’ve done with technology has been voice activation contributions through devices such as Alexa. How would you rate that? How’s that been working? We’ve recently created a really cool site that I would urge all your listeners to go see called “St. Jude Inspire,” where we’ve really become like a media publishing platform; and we want people to understand some of the journeys of our patients and our supporters, and we’re telling stories in really, really compelling ways to lots of different media. I don’t know that there’s another charity that’s doing this. There’s not many for-profits that are doing this, but this has been a tremendous success for us. And I actually think that it’s going to lead to lots more great, great things because people are going to our website. They’re engaging with “St. Jude Inspire,” and they come back inspired. It’s really helped us from a donation perspective as well. Denver: Speaking about corporations, Rick. Do you look at your culture? You don’t hesitate to take some of the best ideas from your corporate partners and embed them at St. Jude’s, do you? Rick: Not in the least. One of the blessings of my job is that I get to go around and talk to corporate America, and I am amazed at how open and generous many of our corporate executives are. We will sit down, and we will talk best practices, whether its tech companies like Facebook or Google and Amazon, to our die-hard supporters like Best Buy, Target, and Dominos. As I sit here today, we’re blessed to have representatives of our Digital Innovation and Advisory Council here, and these are made up of primarily CIOs or similar folks in major brands around the United States right now, including PayPal and Hulu and Hilton. I can go on and on. They’re here to talk about innovation and to launch our innovation week with our employees. I learn from these executives, and then we come back and we make some decisions. I’ll tell you, Denver, the single biggest thing I learned from these people is what not to do. Because you can’t do everything. You can’t chase shiny objects. This is a great forum for me to be able to say, “I’m hearing a lot of things; what do you think we really ought to focus on that’s going to move the needle so that we can take care of more and more kids?” They’re just so generous with their time and their talents, on top of their treasures. We’re very fortunate to have the support of corporate America, not just financially but intellectually. Denver: One thing about culture, because I think it’s both external/internal, and that would be transparency, and we could start with external. You share all your research, don’t you? Rick: We do share our research, and we also share our financials. It’s on both sides of the street. We share our research. We protect our intellectual property, but we will share that intellectual property, provided it’s not being used for commercial purposes and things like that unless we enter into an agreed deal on that. But yes, we share our research. A perfect example of that is the St. Jude Cloud which we launched with Microsoft, where we took all of that pediatric cancer genomic data that you and I talked about earlier in this interview, and we took all those learnings, and we uploaded it to the Cloud, and that information on how to better diagnose kids with cancer, and all the different strands of cancer – the subtypes of cancer – All of that’s readily available in the St. Jude Cloud, and all you have to do is become a registered user, and it’s available at no cost. That’s an example of the kind of things that we do here at St. Jude. Denver: You’re doing a lot of things right, that’s for sure. Let me close with this, Rick. You hear this in a lot of sports. But it’s sometimes easier to get to the top than to stay at the top. When it comes to reputation and research and respect, St. Jude Children’s Research Center has been at the top for many, many a year. What’s the key for an organization to avoid complacency, but rather sustain in excellence year after year after year? Rick: I think that we have to stay relevant. We have to continue to differentiate our brand, and we need to continue to morph our mission and the way we conduct business in a way that reflects the changing world that we’re all operating in today… and actually getting ahead of all of those changes. We’re very future-focused here. Whether it’s on the fundraising business side of the organization, we’re looking out 5 and 10 and even 15 years from now. St. Jude is doing the exact same thing. This is why we believe that the next frontier is global. This is what we do here. We’re constantly looking to improve ourselves and to differentiate ourselves in a really, really crowded space. Denver: Never happy with the status quo. 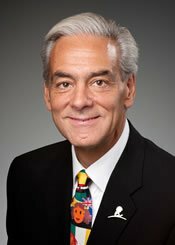 Rick Shadyac, the president and CEO of ALSAC, the fundraising and awareness organization of St. Jude Children’s Research Hospital. I want to thank you so much for being here this evening. For any listeners who might want to add their name to that list of 11 million donors, or one million volunteers, or maybe know of a child who needs some help – where can they go to get some of that information? Rick: They can go right to our website at www.stjude.org. Denver: What was that other website you gave us before? Rick: St. Jude Inspire. www.stjude.org/inspire. Denver: Thanks, Rick. It was a real pleasure to have you on the show. Rick: It was my pleasure to be on your show. Thank you for having us, sir. Denver: Thank you. I’ll be back with more of The Business of Giving right after this.